No information from children under age 13. If you are under age 13, please do not attempt to register for WorldofVolley or provide any personal information about yourself to us. If we learn that we have collected personal information from a child under age 13, we will delete that information as quickly as possible. If you believe that we might have any information from a child under age 13, please Contact Us. Information About Yourself. When you Create WoV Account you provide us with your name and email. During the registration process we give you the opportunity to connect with other players, coaches, managers and agencies. You will also be able to add a picture of yourself. In some cases we may ask for additional information for security reasons or to provide specific services to you. Once you register you can provide other information about yourself by connecting with, for example, your current club, national team, personal statistics, videos and much more. You can also provide your personal information. Content. One of the primary reasons people use WorldofVolley is to share content with others. Examples include when you update your information, upload or take a photo, upload a video, make a comment on BPR, write something on Forum, write a note, or send someone a Message. If you do not want us to store metadata associated with content you share on WorldofVolley (such as photos), please remove the metadata before uploading the content. Transactional Information. We may retain the details of transactions or payments you make on WorldofVolley. Site activity information. We keep track of some of the actions you take on WorldofVolley, such as confirming Requests (including joining a manager/agency), creating a photo album or creating a video album. In some cases you are also taking an action when you provide information or content to us. For example, if you share a video, in addition to storing the actual content you uploaded, we might log the fact that you shared it. Access Device and Browser Information. When you access WorldofVolley from a computer, mobile phone, or other device, we may collect information from that device about your browser type, location, and IP address, as well as the pages you visit. Cookie Information. We use "cookies" (small pieces of data we store for an extended period of time on your computer, mobile phone, or other device) to make WorldofVolley easier to use, to make our advertising better, and to protect both you and WorldofVolley. For example, we use them to store your login ID (but never your password) to make it easier for you to login whenever you come back to WorldofVolley. We also use them to confirm that you are logged into WorldofVolley and our advertisements. You can remove or block cookies using the settings in your browser, but in some cases that may impact your ability to use WorldofVolley. This section explains how your privacy settings work, and how your information is shared on WorldofVolley. 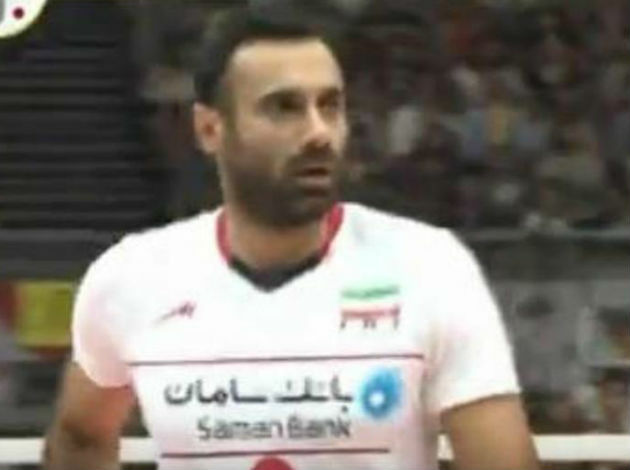 You should always consider your privacy settings before sharing information on WorldofVolley. Name and Profile Picture. WorldofVolley is designed to make it easy for you to find and connect with others. For this reason, your name and profile picture do not have privacy settings. Beside this, we also check if the name of the owner of WorldofVOlley Profile Page is the same name of the person who provided the information regarding that profile. Gender and Birth Date. In addition to name and email address, we require you to provide your gender and birth date during the registration process. We ask for your date of birth to verify that you are 13 or older, and so that we can better limit your access to content and advertisements that are not age appropriate. Because your name and surname are required, you cannot delete them. Minors. We reserve the right to add special protections for minors (such as to provide them with an age-appropriate experience) and place restrictions on the ability of adults to share and connect with minors, recognizing this may provide minors a more limited experience on WorldofVolley. Exporting Information. You (and those you make your information available to) may use tools like RSS feeds, mobile phone address book applications, or copy and paste functions, to capture, export (and in some cases, import) information from WorldofVolley, including your information and information about you. Advertisements. 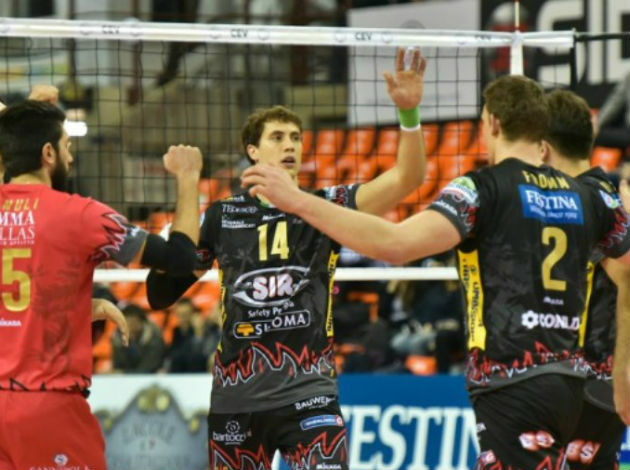 Sometimes the advertisers who present ads on WorldofVolley use technological methods to measure the effectiveness of their ads and to personalize advertising content. You may opt-out of the placement of cookies by many of these advertisers. You may also use your browser cookie settings to limit or prevent the placement of cookies by advertising networks. WorldofVolley does not share personally identifiable information with advertisers unless we get your permission. Links. When you click on links on WorldofVolley you may leave our site. We are not responsible for the privacy practices of other sites, and we encourage you to read their privacy statements. To contact you. We may contact you with service-related announcements from time to time. You may opt out of all communications except essential updates on your account notifications page. We may include content you see on WorldofVolley in the emails we send to you. To serve social ads. We occasionally pair advertisements we serve with relevant information we have about you and other members to make advertisements more interesting and more tailored to you and others from WoV. To supplement your profile. We may use information about you that we collect from other WorldofVolley users to supplement your profile. In such cases we generally give you the ability to remove the content or limit its visibility on your profile. To make suggestions. We use your information, including the addresses you import through our contact importers, to make suggestions to you and other users on WorldofVolley. For example, if another user imports the same email address as you do, we may suggest that you add each other as friends. Similarly, if one of your friends uploads a picture of you, we may suggest that your friend tag you in the picture. We do this by comparing your friend’s pictures to information we’ve put together from the photos you’ve been tagged in. We may also suggest that you use certain tools and features based on what your friends have used. You can control whether we suggest that another user add you as a friend through your “search for you on WorldOfVolley” privacy settings. You can control whether we suggest that another user tag you in a photo by clicking customize from your privacy settings. Memorializing Accounts. If we are contacted that a user is deceased, we may memorialize the user’s account. We may close an account if we receive a formal request from the user’s next of kin or other proper legal request to do so. When you make a payment. When you enter into transactions with others or make payments on WorldofVolley, we will share transaction information with only those third parties necessary to complete the transaction. We will require those third parties to agree to respect the privacy of your information. When you choose to share your information with marketers. You may choose to share information with marketers or electronic commerce providers that are not associated with WorldofVolley through on-site offers. This is entirely at your discretion and we will not provide your information to these marketers without your consent. To give search engines access to publicly available information. We generally limit search engines’ access to our site. We may allow them to access information set to the “everyone” setting (along with your name and profile picture) and your profile information that is visible to everyone. To provide you with services. We may provide information to service providers that help us bring you the services we offer. For example, we may use third parties to help host our website, send out email updates about WorldofVolley, remove repetitive information from our user lists, process payments, or provide search results or links (including sponsored links). These service providers may have access to your personal information for use for a limited time, but when this occurs we implement reasonable contractual and technical protections to limit their use of that information to helping us provide the service. To advertise our services. 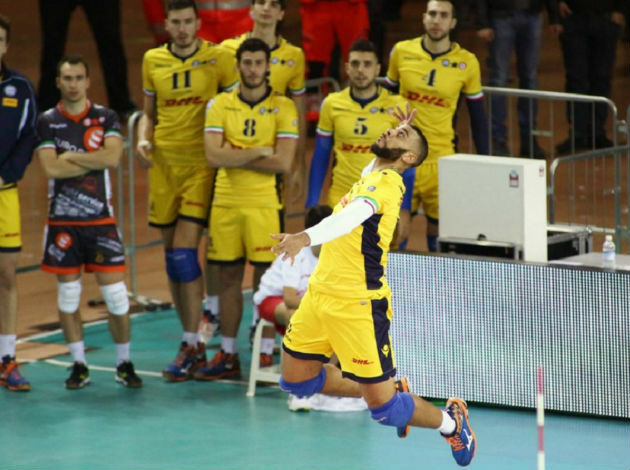 We may ask advertisers outside of WorldofVolley to display ads promoting our services. We may ask them to deliver those ads based on the presence of a cookie, but in doing so will not share any other information with the advertiser. Editing your profile. You may change or remove your profile information at any time by going to your profile page and clicking “Account Settings.” Information will be updated immediately. Deactivating or deleting your account. If you want to stop using your account you may deactivate it or delete it. When you deactivate an account, no user will be able to see it, but it will not be deleted. We save your profile information (connections, photos, etc.) in case you later decide to reactivate your account. Many users deactivate their accounts for temporary reasons and in doing so are asking us to maintain their information until they return to WorldofVolley. You will still have the ability to reactivate your account and restore your profile in its entirety. When you delete an account, it is permanently deleted from WorldofVolley. You should only delete your account if you are certain you never want to reactivate it. Limitations on removal. Even after you remove information from your profile or delete your account, copies of that information may remain viewable elsewhere to the extent it has been shared with others, it was otherwise distributed pursuant to your Account Settings, or it was copied or stored by other users. However, your name will no longer be associated with that information on WorldofVolley. Additionally, we may retain certain information to prevent identity theft and other misconduct even if deletion has been requested. We do our best to keep your information secure, but we need your help. For more detailed information about staying safe on WorldofVolley, visit the WorldofVolley Security Page. Risks inherent in sharing information. Although we allow you to set privacy options that limit access to your information, please be aware that no security measures are perfect or impenetrable. We cannot control the actions of other users with whom you share your information. We cannot guarantee that only authorized persons will view your information. We cannot ensure that information you share on WorldofVolley will not become publicly available. We are not responsible for third party circumvention of any privacy settings or security measures on WorldofVolley. You can reduce these risks by using common sense security practices such as choosing a strong password, using different passwords for different services, and using up to date antivirus software. Consent to Collection and Processing in the United States. By using WorldofVolley, you consent to having your personal data transferred to and processed in the United States. Defined Terms. "Us," "we," "our," and "WorldofVolley" mean the same as they do in the Statement of Rights and Responsibilities. “Information” and “content” are used more generally and interchangeably here than in the Statement of Rights and Responsibilities unless otherwise limited by the context.